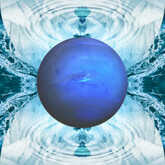 Neptune's entry into its watery home sign signals a spiritual awakening that crosses the threshold of our individual differences to reconnect humanity in a web of common awareness. Compassion shifts from an idealistic concept to an active energy that puts us in touch with one another in a more emotional way. The last time Neptune was in Pisces -- from 1847 through 1862 -- concern for others was reflected in the abolitionist movement to end slavery in the United States and to free the serfs in Russia. It's likely that this transit of Neptune will again put issues of injustice and inequality into the spotlight. Dissolving boundaries on a personal level is both inspiring and confusing. As the great tide of humanity rises and falls we can feel that we are being swept away by forces beyond our control. These may, in fact, relax borders among nations in a long-term process that puts common concerns above separatist national interests. It's possible that religious differences also become less problematic as the faithful focus more on flexibility of spirit than rigidity of ritual. We may grow more psychically attuned with one another and with nature. The unifying forces of Neptune and Pisces remind us that "all is one" is not an abstraction but the way the world really works. The value of water is likely to increase, along with investments in conservation and desalinization. However, the effects of pollution might also grow more evident, leading to extensive research to address these problems. Neptune in Pisces increases sensitivity to toxins, requiring more thorough cleanup of existing waste and a more cautious approach to introducing new products into the environment. These may be the last days of plastic as we know it, replacing current chemical formulas with biodegradable substitutes. The negative effects of prescription drugs could be more obvious, precipitating radical changes in their manufacture and use while increasing the value of natural medicine and organic food.